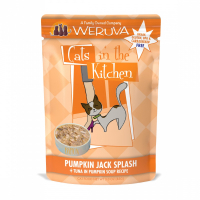 Weruva’s creators bring your pets luxurious foods inspired by their three rescued cats; Webster, Rudi and Vanessa. 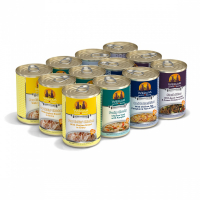 Produced in their human grade facility, their recipes include proteins like whole breast chicken, whole tuna loins and select cuts of beef and calamari. 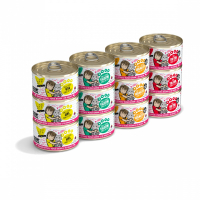 They also add fresh vegetables and other unique items such as grilled skipjack, tilapia and red bigeye tuna! Formulas are non-blended so the ingredients have their natural and recognizable texture. It’s easy for you to see and understand exactly what you’re feeding. 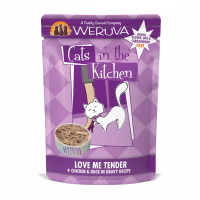 Weruva’s brands include Classic, BFF, Truluxe and more! 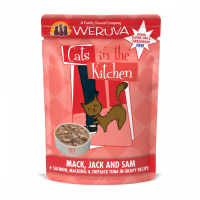 Dozens of grain free, wet and dry options that your cats and dogs won’t get enough of.